Rossignol has more than a century of experience in the snowsports industry, so they have the upper hand when it comes to experimenting with high-performance gear. That experience paid off in the Rossignol Depart Insulated Ski Jacket, a super-technical, professional-level women's ski jacket for the most demanding of female skiers. A 20K waterproofing rating is made to withstand the heaviest rain and snow for extended periods of time, while the Thinsulate™ featherless 600 fill-power insulation provides extreme warmth that insulates even when wet. The Depart Jacket is filled with features high-performance women demand, like completely sealed waterproof seams and a four-way stretch fabric. Both the insulated hood and the hood’s faux-fur detailing can be removed. 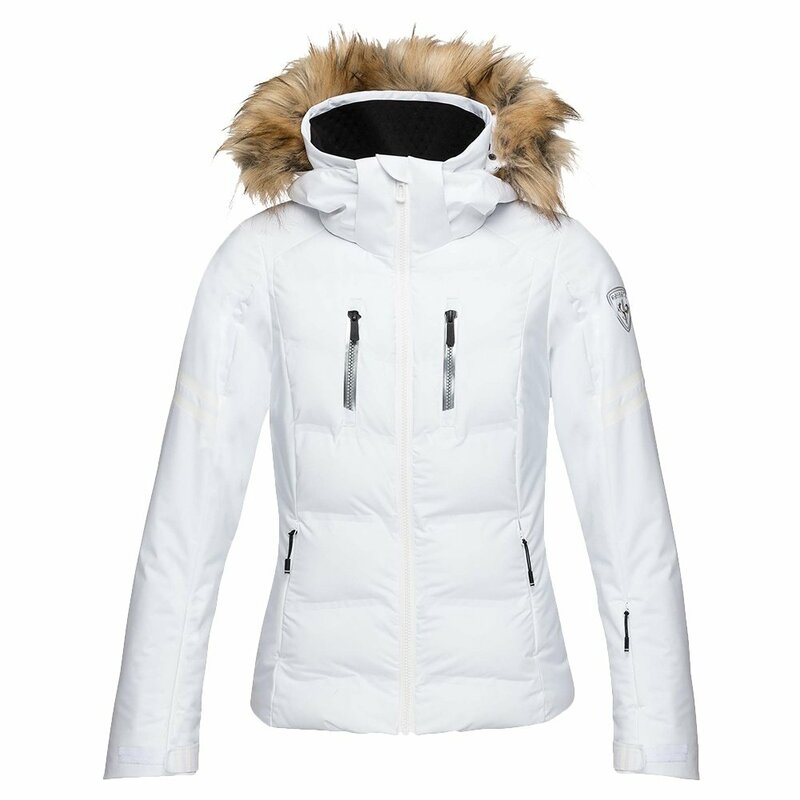 This is one of Rossignol’s warmest and most waterproof women’s jackets. Five outer zippered pockets and additional internal pockets provide plenty of storage space.